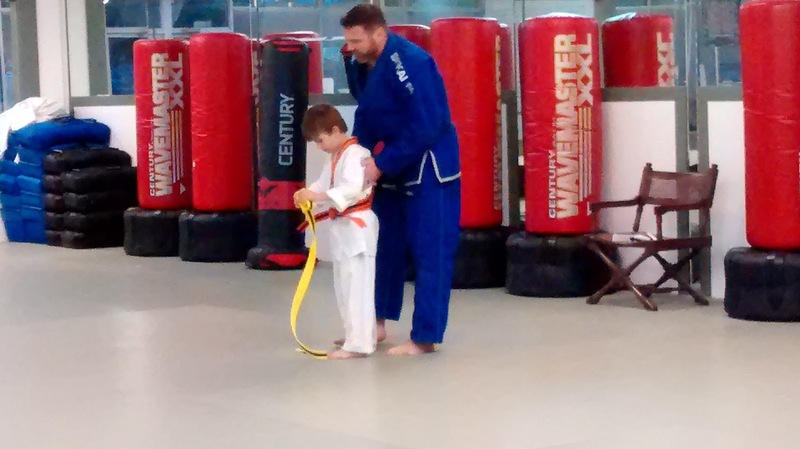 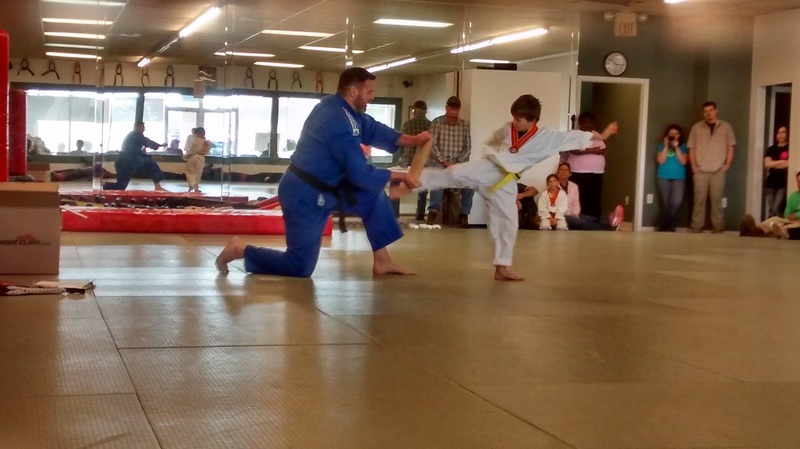 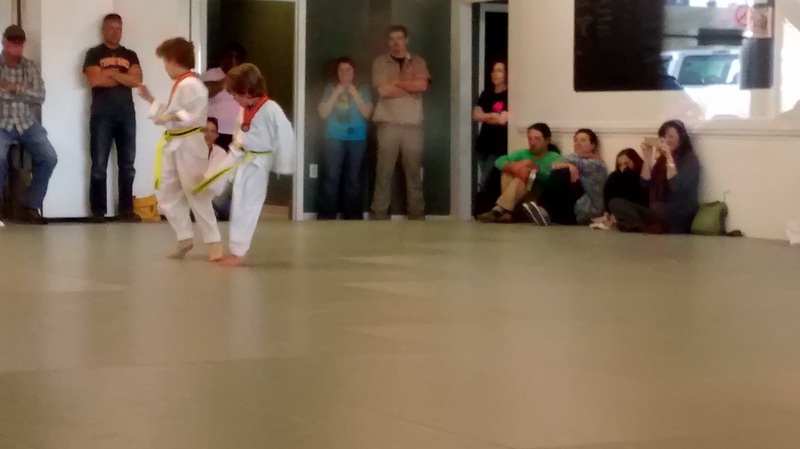 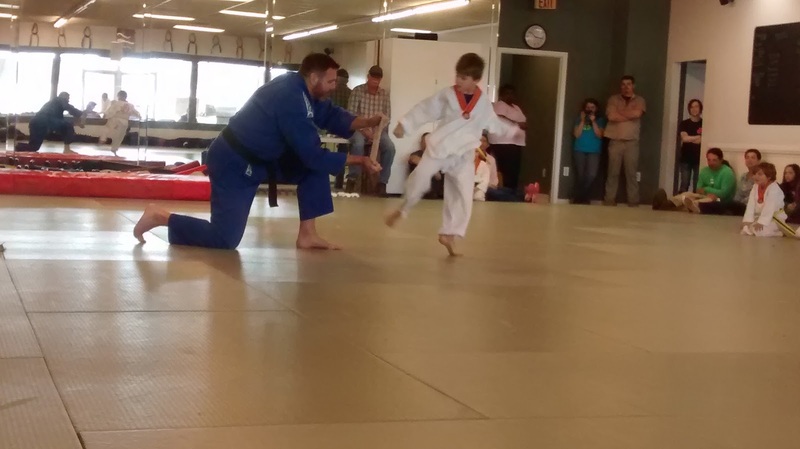 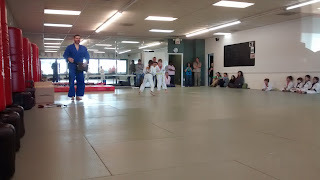 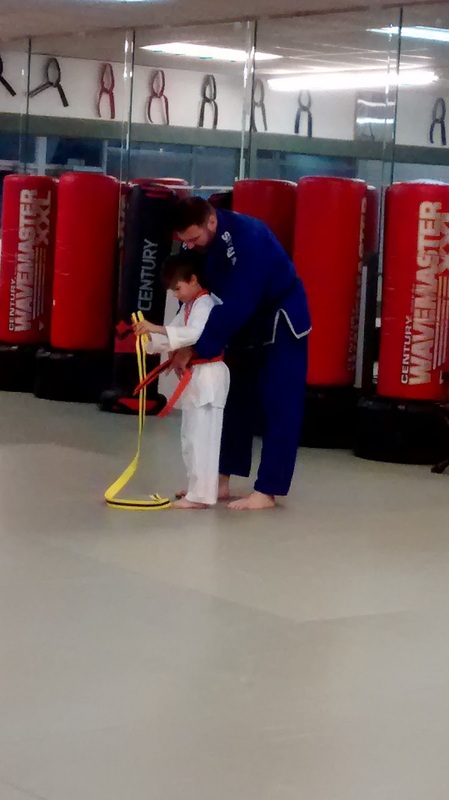 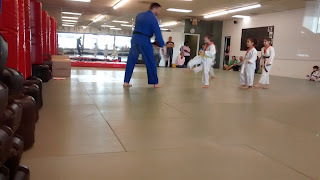 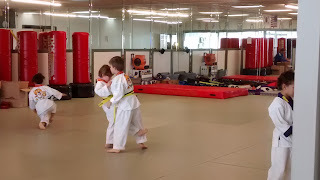 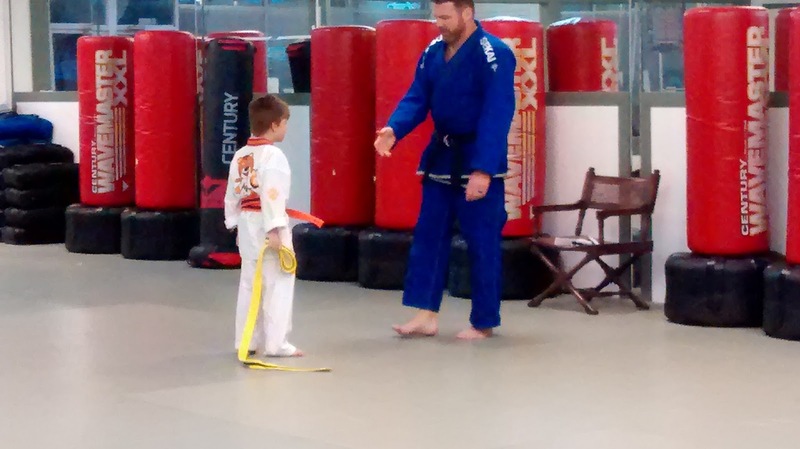 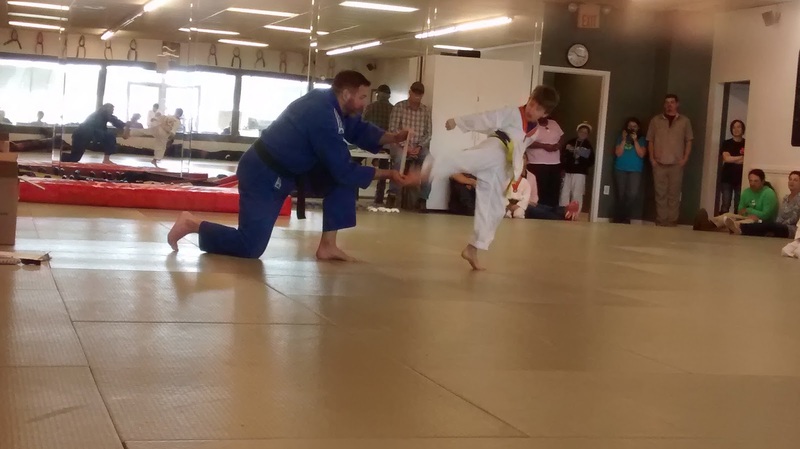 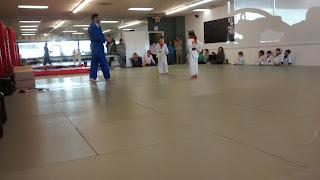 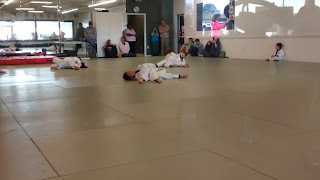 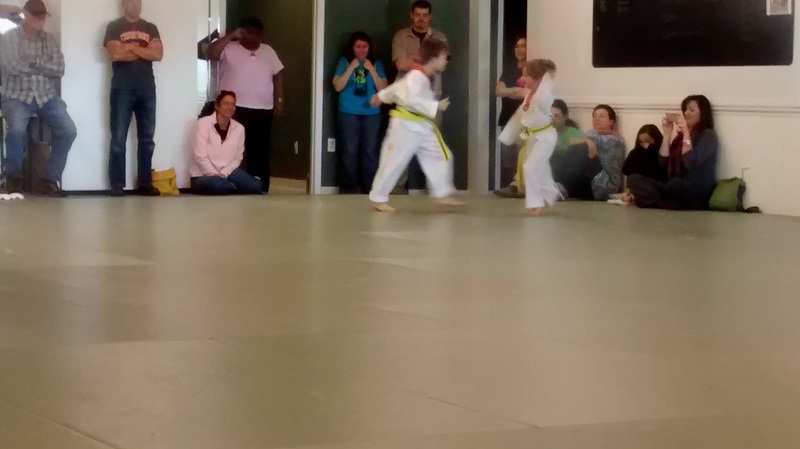 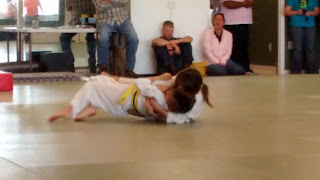 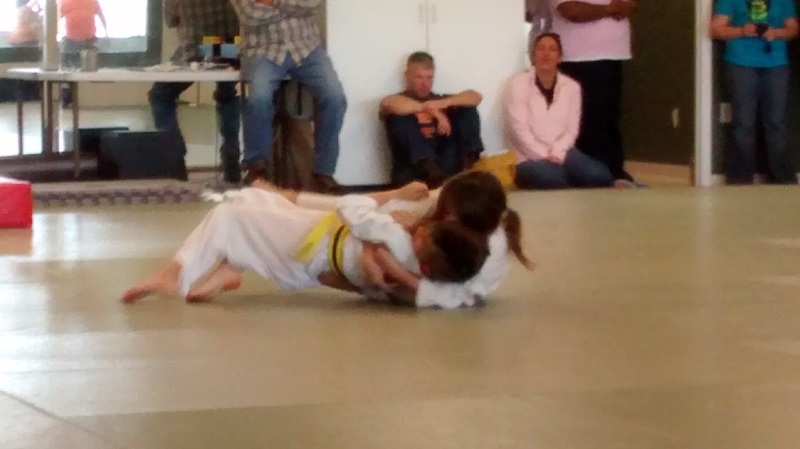 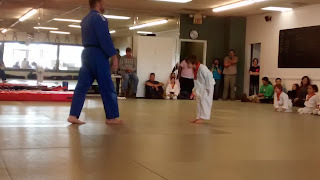 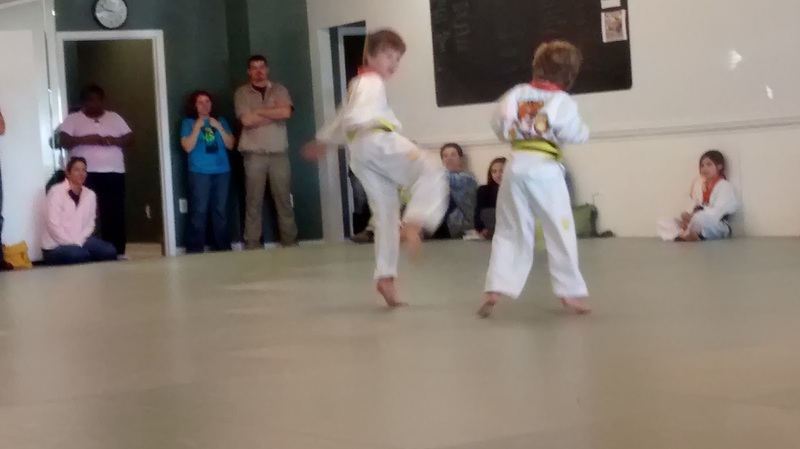 Saturday, Michael belt tested for his orange with black stripe belt. 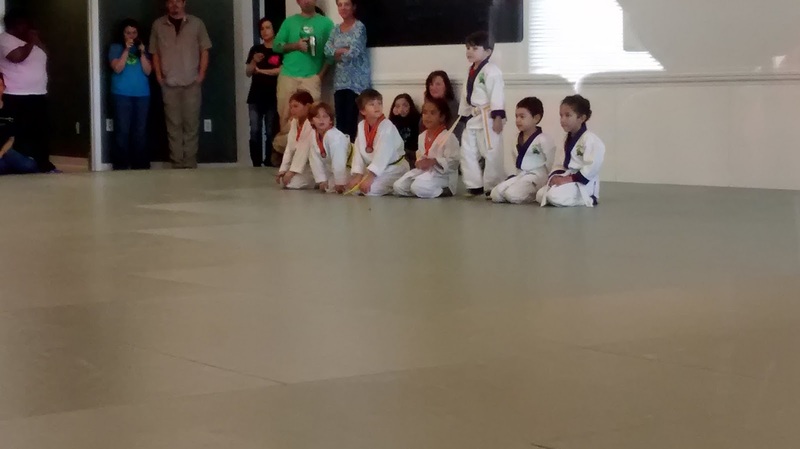 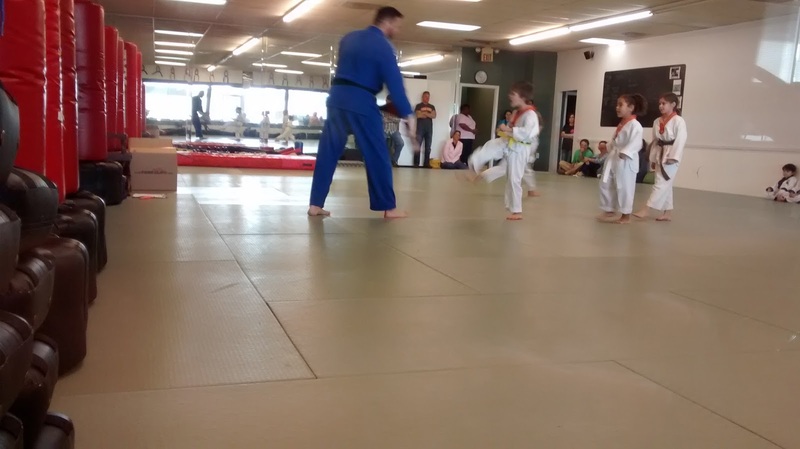 This was the best we've ever seen him do either in class or on a belt testing day. 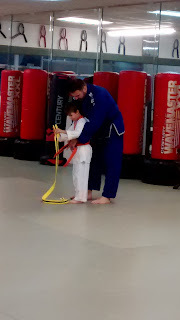 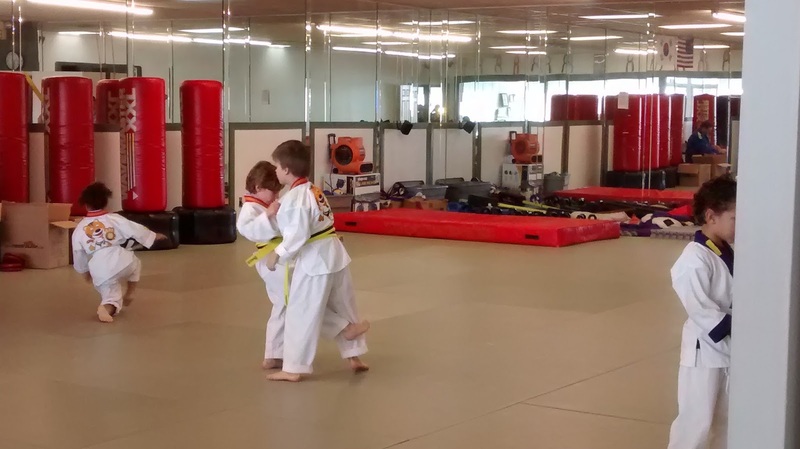 His teacher (sensei) came up to me at his next lesson, complimenting Michael on how well he did. 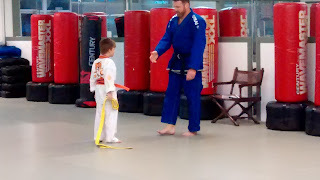 Then as Michael received his belt, he repeated his praise in front of Michael's peers.